If you’re a surgeon wanting to move to another state, consult our list of the 11 highest paying states for surgeons first, to help you decide. Surgery is a branch of medicine centered on operating on the patient using specialized medical instruments to treat injuries or disorders of the body. The human body is extremely complex and delicate, which is why surgery is often highly dangerous, and requires both years of training and a high mental stamina to perfect. An array of manipulations, incisions and technique constitute surgical procedures, which is why every surgery requires a surgical assistant and in many cases, such as transplants and emergency surgeries, an entire surgical team. There are a variety of available specializations in this field, for example, orthopedic surgery, neurosurgery, oral surgery or abdominal/general surgery. 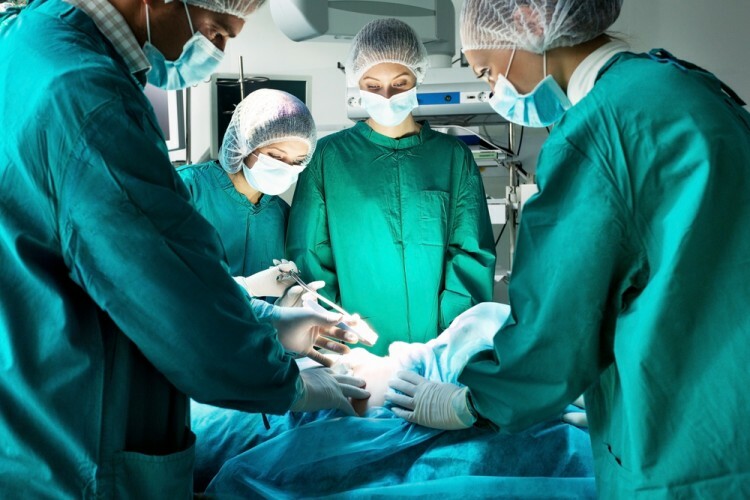 Surgery plays a vital role in medicine, which is exhibited by the fact that it was practiced as far back as in 1600 BC. In the modern world, surgeons have to complete at least 10 years of education before they are able to practice medicine, which includes college, medical school, residency, certification and specialization. The residency alone takes a while; anywhere between three to eight years. Because of all this hard work, and extreme responsibility that comes with the job, the average surgeon in the United States makes over $350,000 every year. If, however, you’re more inclined towards another field in medicine, like radiology, take a look at our list of the 11 highest paying states for radiologists. To compile our list of highest paying states for surgeons, we took salary statistics for every state from Salary Expert. Furthermore, we took employment figures for the highest paying states from the fact-finding report issued by the Bureau of Labor Statistics. The reason we did not utilize the latter for salaries is because data was missing for several states, many of which were the highest paying in the country. Now that we’ve covered the basics, let’s get on with the 11 highest paying states for surgeons!